Innovation is embedded in the DNA of Zumex Group, a leading company on fruit and vegetable juice extraction at the international level. 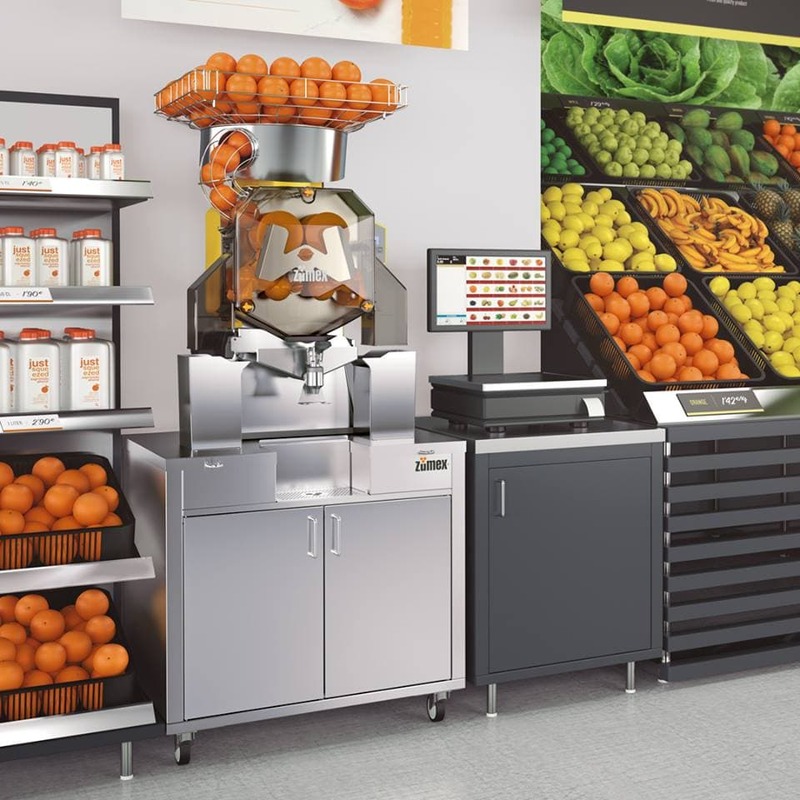 This innovative vocation not only translates into technological solutions for automatic juicers, but also spreads to all kinds of internal and external processes with an aim to improve performance. To respond to Zumex Group’s international structure, and therefore to the needs of the sales team, the app allows the selection of country and language (Spanish and English versions are available). Following the pre-selection, salespeople can select the product range and view the interactive catalogues linked to the product. This app, designed and developed with Cuatroochenta technology, represents a digital transformation for the company’s sales and distribution teams’ own processes. The result is a digital catalogue which presents content in a more effective and attractive way. Zumex Group’s app succeeds at showing your portfolio’s technical data and characteristics in a visual way, integrating dynamic graphics, interactive pop ups and images and videos presenting the operation and main features of the different juicers. Visual resources help to focus on sales pitches and guide the sales narrative. Leaving aside the cost reductions linked to the introduction of virtual catalogs, Zumex Group’s catalog app is an example of process optimization. An interactive catalog, among other advantages, allows for immediate updating of information, a consistent sales discourse within the commercial network regardless of country or language, and dynamic information sharing with customers, directly from the catalog, during visits or business meetings. App developments for private distribution such as Zumex Group’s are hosted in private web servers and only users with access can download the app to their mobile devices and tablets. The users of this corporate app are the company employees, and a specific system allows the app to define consultation and management roles: from content design and management and publication, to user management and access to published contents. In parallel with the improvement of internal processes, new tools and resources such as the app made available by Zumex Group to its sales network strengthen their positioning as an innovative company aligned with the brand’s corporate values, and clearly convey such image both internally, in this case to the sales and distribution team, and externally to distributors and clients, which include brands such as Carrefour, Mercadona, Système U, or Albert Heijn. Aliquam ut mi, et, dolor. ut ut risus.